In 2013 Guillermo Del Toro introduced us to the fictional world of Pacific Rim. Based on a manga, the film was meant to be the film that would make giant robots cool again since Michael Bay ruined Transformers, and that is exactly what happened. The first film was a critical and box office success, which was to be expected as Del Toro is a seasoned director. What made the first film such a good one was that it put you right in the meat of the action, as one would expect when they watch a movie about robots fighting monsters. The sequel however took a different approach this time around and didn’t opt to open with a major fight like the original. In all fairness, with Del Toro no longer at the helms, one may argue that that the sequel was doomed from the start. 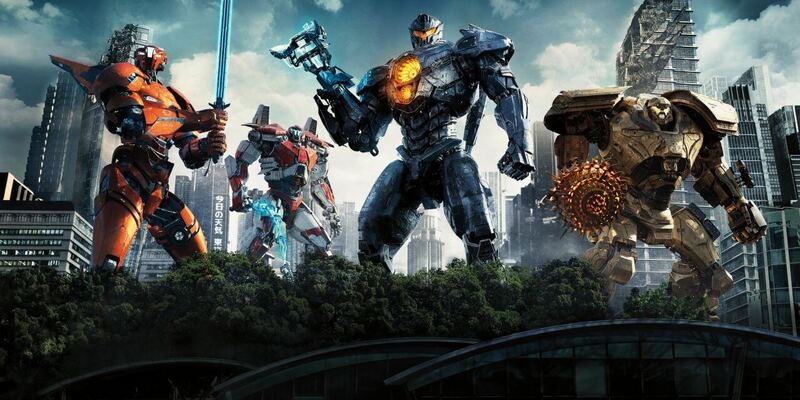 The overall premise of Uprising isn’t conceptually terrible but the thing that made the first film so good was the Robots versus Monsters concept which isn’t really a major factor in this film until the final act. The film tends to suffer a problem that recent franchises seem to always have whenever it comes to sequels. I personally call this problem the Spider-Man 3 effect to pay homage to the mess that was the near perfect Tobey Maguire Spider-Man franchise. The Spider-Man 3 effect is when there is just too much going on in a film whether it’s development in stories or antagonists to fight. Hollywood seems to consistently make this mistake of assuming that bigger and more equals better. It didn’t work for two out of the 3 Spiderman franchises and it didn’t work for an even less established franchise such as Pacific Rim. The casting of the film was generally alright. The film focuses on the story of Idris Elba’s son who is played by the very talented John Boyega who significantly brings up the entertainment value of the film, as Idris Elba did in the previous film. Asides from Scott Eastwood and Rinko Kikuchi, most of the characters tended to be forgettable at most. In fact, a good 80% of the time, it is mainly John Boyega’s film. In no way is this a bad thing; you could put Boyega in the most useless plot of a film and he would make watching it worthwhile. The supporting cast of young kids were subpar and not developed enough for the audience to have an emotional investment in their characters. It would’ve been cool to have a dynamic similar to the one found in X-Men: First Class, whereby it was centred on the inexperienced becoming great. Alas, the film just had way too much going on for this to be viable. I applaud the effort the filmmakers put in to ensure that the robots felt realistic, and were similar in scale to those of the previous film. You don’t get the Transformers-esque cartoony feeling where everything is too big all the time. However, part of the first film’s charm was that the robots were as clunky as they were big, but in Uprising the fluidity of movement is indistinguishable from a video game. It’s mindless fun for anyone who wants to watch a simple action film just for the fight scenes. While the fight scenes are, without a doubt, an entertaining spectacle, they don’t justify spending two hours of your time at the cinema. The film tries way too hard to expand into different plot lines and because of this the whole pacing of the film barely makes a cohesive storyline. The first movie also had three major characters that were aforementioned in the continuity however that play little to no part in the new film to everyone’s dissatisfaction and the main character Raleigh Beckett from the previous film has barely any relevance asides from being mentioned once or twice. Amidst the absolute messy plot one can simply find solace in the great performance from the lead, some well thought out action scenes and an overall fun film to watch without requiring too much brain power to digest. This film is just yet another summer blockbuster that will inevitably rake in the necessary funds to keep the franchise growing with a strong margin but lacks the complexity to be anything other than a simple fun watch that will be forgotten in two days. I recall a quote from the film that I found ironic. One of the characters said “Bigger is better” which unfortunately when it came to this film, was profoundly untrue. Less is more and that could not be have been truer for Pacific Rim Uprising. Our only hope is that the money made from this movie and the reviews are enough to sway for an improved sequel with Del Toro back at the helm.